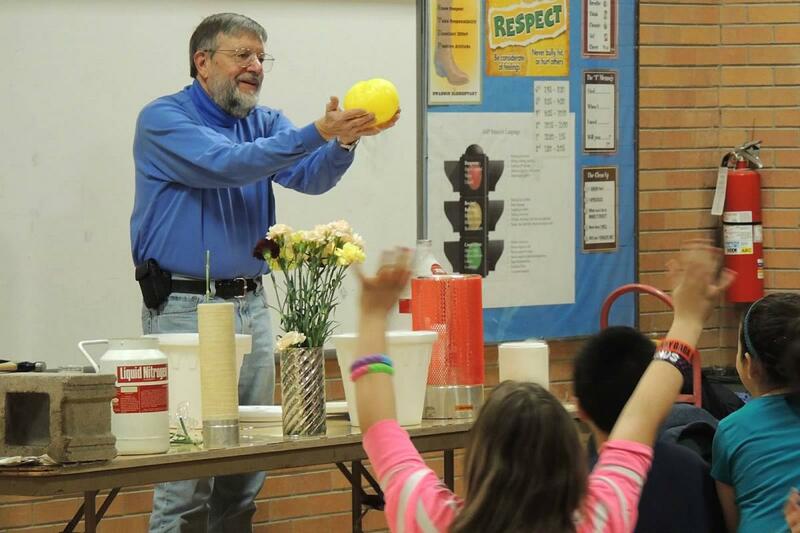 Students at an elementary school in Boulder, Co enjoyed physics demonstrations from Nobel Prize Laureates Bill Phillips and Jan Hall, accompanied by Lindy Hall. 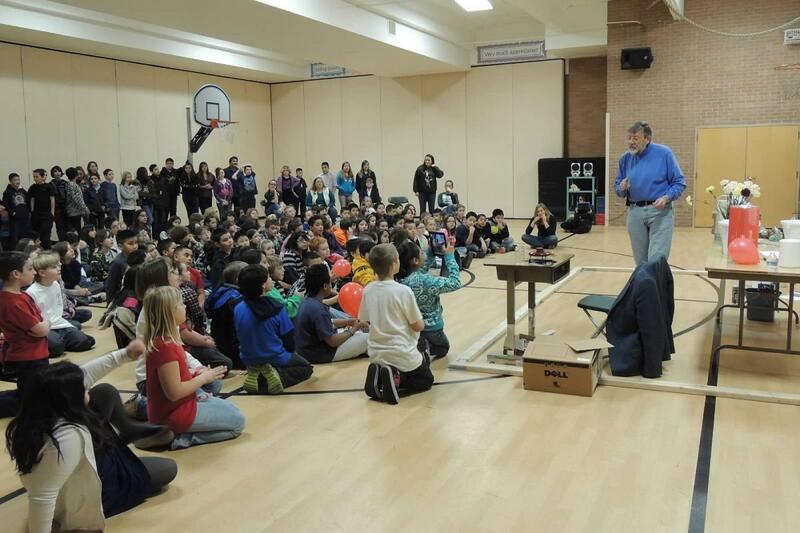 Photos courtesy of Halls. 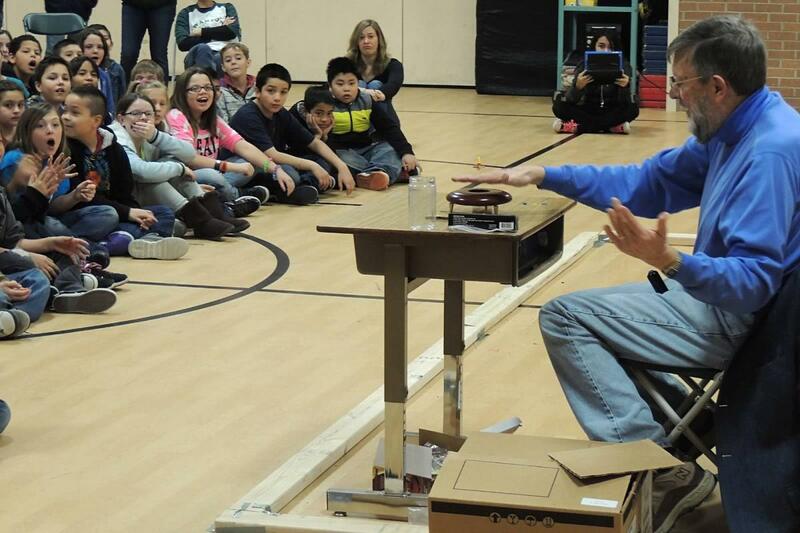 In January, students at an elementary school in Boulder, Co enjoyed physics demonstrations from Nobel Prize Laureates Bill Phillips and Jan Hall, accompanied by Lindy Hall. 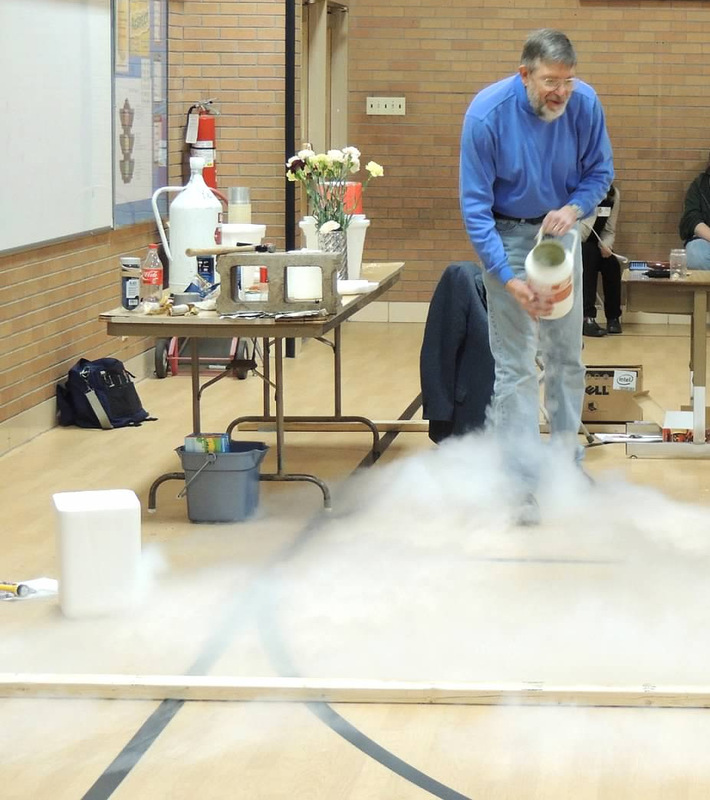 The Halls snapped some photos of Bill wowing the crowd with magnetic levitation and liquid nitrogen.